They are picked up between November and March depending on the varieties. 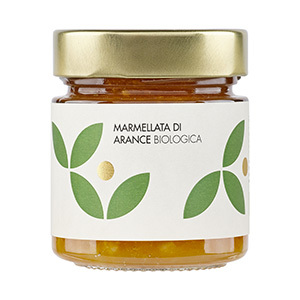 The Navelinas, tasty and with an intense colour, are excellent for fresh consume and become the Tenute Pasquale Librandi organic orange marmalade. 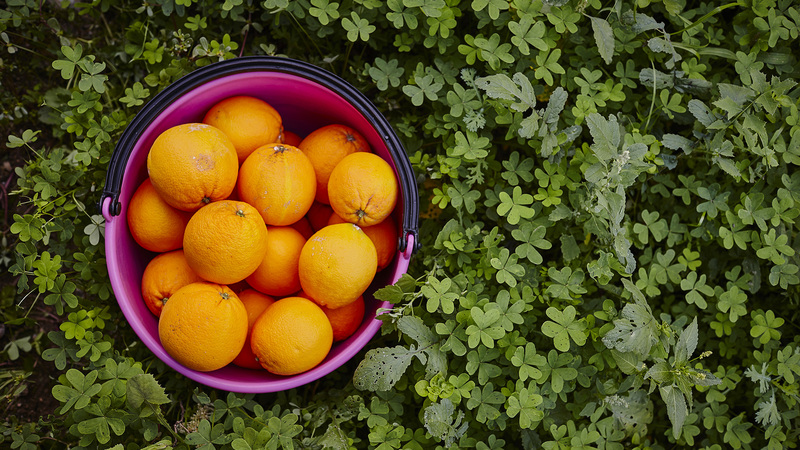 The Blood Orange “Sanguinello” are red oranges, juicy and with a few seeds, wonderful for juices. 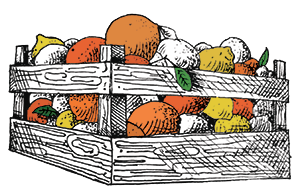 The Lane Late, last ones picked, are sweet, fragrant and seedless, are excellent in late winter and early spring. Very sweet and fragrant, they ripen from the end of October to the end of December. 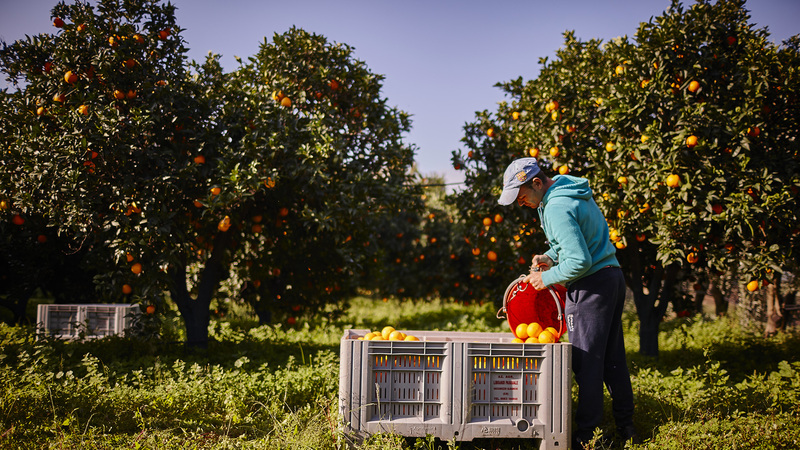 Rich in Vitamin C, clementines are usually eaten fresh; we pick up them between November and December also to turn them into the Tenute Pasquale Librandi organic clementine marmalade. 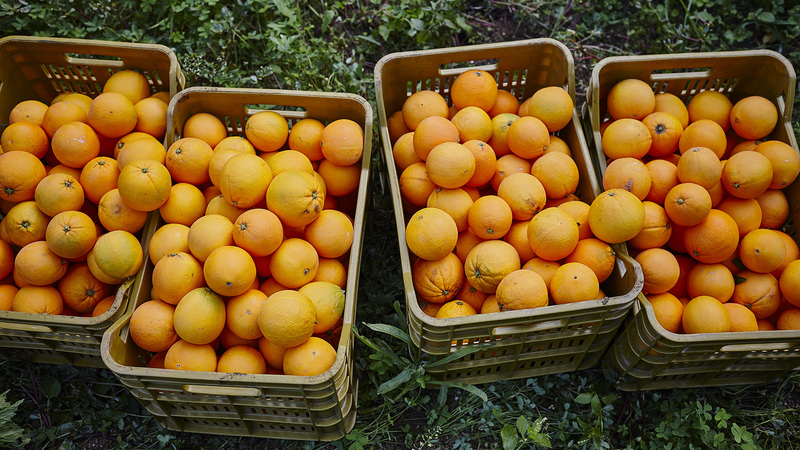 Calabria is the ideal habitat for this citrus rich in vitamin C, together with vitamins B1, B2 and PP and also beta-carotene and fibre. 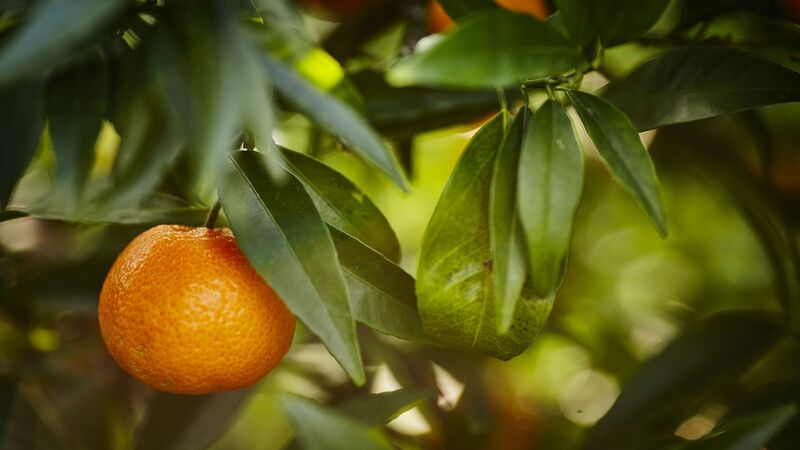 We pick up our late mandarins between February and March when the degree of ripeness makes them sweet at the right point and their scent reaches its peak. They run throughout the history of world cuisine and are on our tables in practically every season of the year. Our lemons and limes, depending on the type, acidity and organoleptic characteristics, are perfect for all typical preparations or as tonics and thirst-quenching juices. Organic and produced only with our oranges (75g per 100g of product), brown sugar and a little lemon. It is a whole jam with all the peels with a bitter and decisive flavor, perfect with fresh ricotta of buffalo milk and a drizzle of EVO oil. Available in sizes: 300g jar. 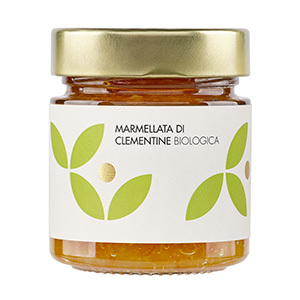 Organic and produced only with our clementines (75g per 100g of product), brown sugar and a little lemon. Whole with all the skins, thanks to its sweet and delicate taste it is the children’s favorite and is perfect as a base for pies, cakes or spread on a slice of bread.